HVAC (Heating, Ventilation and AirConditioning) is the technology of indoor and automotive environmental comfort. HVAC systems use ventilation air ducts installed throughout a building to supply conditioned air to a room though outlet vents, called diffusers; and ducts to remove air through return-air grilles. HVAC System design is based on principles of thermodynamics, fluid mechanics and heat transfer. HVAC system is important in design of medium and large offices and industrial buildings and marine environments. The three central functions of heating, ventilation and air-conditioning are interrelated, especially, installation, operation and maintenance costs. HVAC systems can provide control and automation of lighting, heating (like smart thermostat), ventilation, air conditioning systems, and appliances such as washers or dryers, ovens or refrigerators or freezers that use Wi-Fi and the Internet for remote monitoring. The statement that our world is becoming more inter-connected is an understatement when we consider ‘The Internet of Things’ (IoT). In the world of HVAC and cooling systems, it is easy to see that air conditioning systems are becoming more intelligent with a greater range of remote communication options which can lead to improvements in operating costs and overall energy efficiency. There are also sub-categories for IoT and one of the biggest is the Industrial Internet of Things (IIoT) which has come about to support automation under Industry 4.0 (The 4th Industrial Revolution). It is also suggested that digitalization (The 4.2 Industrial Revolution) has to play a very important role in transforming Industrial Revolution in this field. 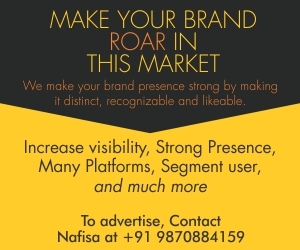 IoT (Internet of Things) is a network of physical devices with embedded electronics, software and connectivity which enables remote monitoring and data exchange via the Internet for management, control and energy saving. It is estimated that by next three years, over 30 billion devices will be connected to the IoT. The IoT will change the way HVAC systems are monitored, analysed and controlled in the years to come to increase energy efficiency and ease of maintenance in particular. HVAC systems continue to evolve and one of the key developments aside from energy efficiency is in network connectivity. It is possible through Simple Network Management Protocol (SNMP) to provide an air conditioning system with an IP address and add to a local network for management and control. Simple Network Management Protocol is a set of protocols for network management and monitoring. These protocols are supported by many typical network devices such as routers, hubs, bridges, switches, servers, workstations, printers, modem racks and other network components and devices. HVAC systems can be connected to Building Management Systems (BMS) in a similar way or using more basic signal contacts. In place of fixed wire systems, remote control is possible via wireless connections to handsets and thermostats. Most systems require an additional monitoring or communications card or adapter to allow this level of communication. IoT may enhance a new dimension with the provision to add the HVAC devices to a wider and smart building network that can access sensors to detect the presence of occupants and personalise the heating or cooling settings of rooms they use on a regular basis to their chosen set levels. These levels influence and guide individual elements within a building’s heating and cooling systems in terms of temperature levels, fan speeds, compressor speeds and air flow direction. It changes the way HVAC systems can be monitored and controlled through advanced information collection and analysis to bring advantages not just in terms of heating, ventilation, air conditioning and refrigeration but overall energy efficiency and operating cost control. Predictive maintenance can be done if IoT connected HVAC system is installed. Connected systems are able to analyse the information they gather and actually alert managers to unusual equipment behaviour or system failure, which results in quicker response times and the ability to avoid potentially devastating problems. Additionally, internet-based systems help to reduce maintenance and repair costs over time. IoT connected system can detect a change or issue and send a notification within minutes of the occurrence. This process allows the user to review the data and issue a diagnosis from anywhere (maybe on mobile) at any time (say over the weekend too) so, the situation can be addressed immediately, ultimately saving both time and energy costs. Connecting HVAC to IoT provides opportunities to improve operational performance and energy efficiency by linking performance to other data sets. These could include weather forecasts, holiday periods and even local usage in smart buildings whose users are tagged to let the intelligent building system know whether they are on site or not and which rooms they are using. It is an example of a form of artificial intelligence (AI) within a smart building as the HVAC systems make real-time adjustments to optimise their performance and adjust themselves within a range of operational parameters. The benefits to the organisation realise themselves in terms of lower energy bills and improved energy efficiency with the potential to reduce costs by around 25-30 per cent per year compared to traditional or conventional HVAC systems. These are not expensive and are useful for many reasons. For example, a person may set his or her present thermostat at a certain temperature. Then he or she keeps running back and forth to change the setting because it doesn’t maintain the temperature that he or she wants in all rooms. Every degree inaccurate controls can account for 3 per cent of annual energy expense. Following are some reasons to upgrade to a ‘Programmable’ Smart Thermostat.  It is capable of adjusting home’s temperature from any room in the house, from the office or on a trip.  The temperature one selects is what he or she gets.  It can save money.  One can pre-heat or cool his or her home as he returns from a trip.  One may receive e-mail alerts when his or her home temperatures are too high or too low. Some organisations are moving their data operations to cloud based data centers and maintaining local service rooms or micro-datacenters on the site. Using data centers in the cloud enable HVAC manufacturers and related installation and maintenance resellers to access data on their field populations for trend analysis from a secure storage environment. For any HVAC device connected to the IoT, the device is visible in terms of its location, operational information and service requirements. It is a direct result of the Internet of Things age and this level of connectivity will increase for other devices within a building including access, security and power management. Without this type of innovation, traditional controls remain a hindrance with increased costs and less opportunity to raise energy efficiency by maintaining a zoned-approach to heating and cooling. Internet enabled cooling systems with open protocols provide opportunities for app developers and their imagination and entrepreneurial drives. Applications could be created to improve local management or interface with other IoT devices on the site. Not only homes, but businesses, restaurants have found enormous benefits with ‘Smart’ Wi-Fi Thermostat capabilities due to the variations in temperatures from the kitchen to the dining area, to spaces less used, or used intermittently. Internet-based systems can be entirely controlled by users, but the coolest part is that they don’t need to be. The most advanced systems have actually been designed to adapt to their surroundings like never before. With the help of smart sensors, systems can measure temperature; humidity and air flow throughout the entire building as well as determine external factors such as the weather forecast and current utility rates. With this rich information in hand, the system adjusts its settings to plan for upcoming situations, thus, boosting efficiency. By learning how to alter its behaviour based on current or upcoming factors, it is able to proactively create a comfortable environment instead of reacting to changes after they occur. Example: Let’s say a heat wave is due to hit in the area for two days. A connected system will note this temperature spike and cool one’s building down overnight when it is the most cost-effective to do so to save energy costs. HVAC buildings having smart, connected sensors track both external sources and interior performance to optimise energy efficiency. IoT (also called the Internet of Everything) is essentially about connecting conventional objects and sensors to the Internet, transforming them from ordinary items into smart devices. Some examples include connected cars, thermostats, refrigerators, and televisions. While the opportunities are vast from improving manufacturing processes to more efficient response to humanitarian aid crises to more intuitive healthcare services, there are some notable IoT challenges and risks standing in the way of success. That there are some glaring security issues with the Internet of Everything. As IoT hacks involve tangible objects (rather than data alone), physical damage (e.g., a Heater being hacked and crashed) can result in addition to malware or identity theft. Currently, devices are not operating on a single network, which poses an issue for interoperability. For the IoT to reach to its full potential, devices need to be able to properly communicate with one another, as well as the network. Right now, some devices can connect to multiple devices, while some can connect only to manufacturer approved devices, and others still can connect only to the Internet, not with any other devices. Designing products within a specified architecture would result in two advantages device compatibility and increased security controls. A universal architecture is not where the need for structural development ends. Open standards are also needed for interoperability and network regulation. A degree of government involvement is necessary to develop and implement standards, much like what we saw with the involvement in the development of the Internet. Overall, the Internet of Things (IoT) will lead to many improvements in how devices are managed, the loading on national grids and their energy efficiency management. The benefits cannot, however, be made without taking care when it comes to one major area of concern which is that of cyber security. For devices connected to the Internet even greater care must be taken in terms of providing gateway security and access to onsite networks. This will be one of the biggest concerns to organisations running one or more data centers or server rooms. For these types of facility cooling is one of their biggest costs and they stand to benefit the most from Internet of Things enabled air conditioning, cooling, refrigeration and heating system management and control and their interface with smart building technologies. Internet of Things is shaping the way we interact with objects as well and its impact spans a wide range of business sectors. 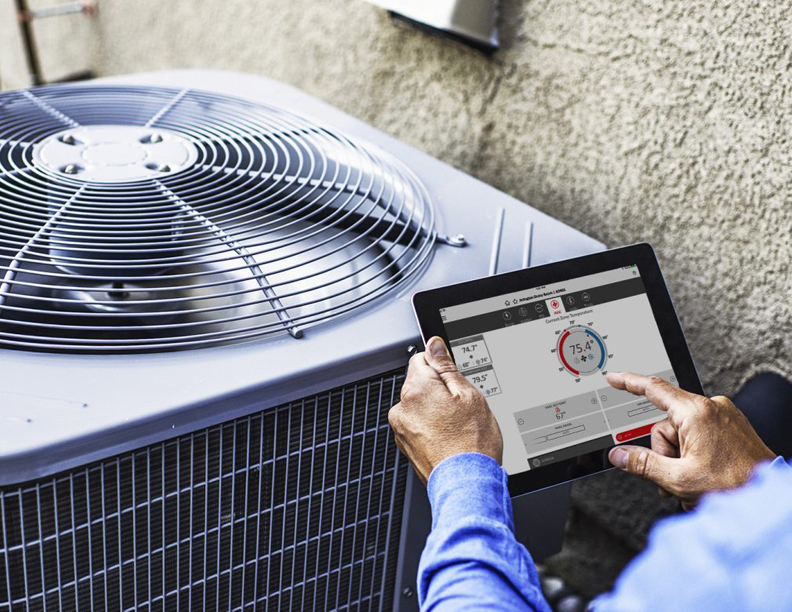 For the HVAC industry, IoT means better managed maintained, connected and efficient systems. But, it actually means more than just a connected system – it means a smarter environment engaged in constant communication.